If you are interested in having me speak at your upcoming event, please contact me to check availability. I frequently serve as a retreat leader and workshop presenter. 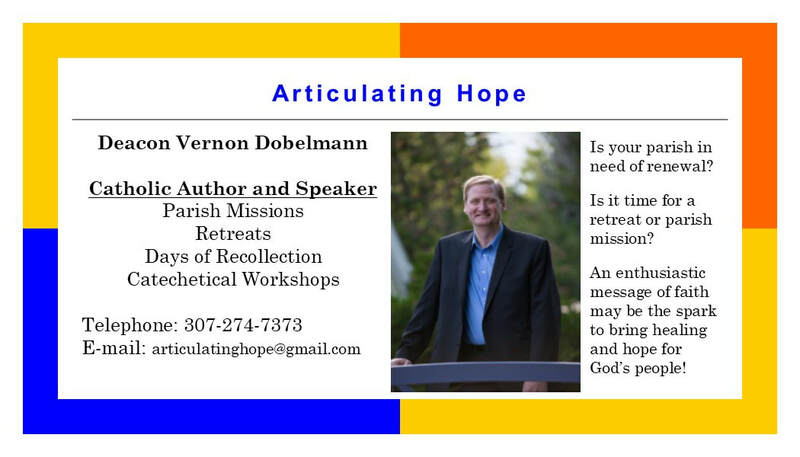 I specialize in presentations which focus on living our faith with zeal and enthusiasm. This is accomplished through a high-energy style of presentation with substantive content, a mix of humor, and plenty of opportunity for reflection and prayer. My teaching is faithful to the Magisterium of the Church. I have also enjoyed presenting parish missions. This typically includes preaching at the weekend Masses followed by three nightly presentations.